Marlink’s Sealink™ Plus packages combine your choice of a Sealink Allowance or Sealink Premium plan (with guaranteed speeds), with unlimited Iridium OpenPort or Inmarsat FleetBroadband MSS back-up (airtime and hardware included) for ship’s business; compact stabilised antennas for rapid installations, and our XChange platform providing centralised VoIP, data and Internet access. Plus a catalogue of fully integrated Value Added Services to complement your connectivity. This service is ideal for shipping companies seeking a full package of high quality, reliable and unlimited communications for business and crew, with full cost predictability and efficient administration and cost management tools. 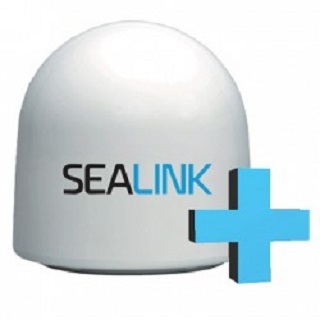 Seamlessly managing Ku-band VSAT and MSS (Mobile Satellite Services) airtime and hardware, Sealink Plus offers the best value for money and choice for global maritime broadband. 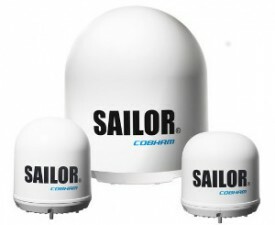 Easy to install equipment and antenna backed by an unparalleled 5 year warranty. FleetBroadband uses compact below-deck terminals and stabilised, directional antennas from 27 cm to 68 cm to deliver optimal maritime connectivity. Universal Card Go: Prepaid telephone and data usage. online portal enabling quick and easy monitoring at your fingertips.